A site about music teaching, music science, and related social, political, and economic issues. Looking for music lessons in Oregon City or Portland (or perhaps over the internet)? I teach all ages and levels and a variety of musical styles. I specialize in bringing to lessons the science and psychology of music along with creative exploration. Visit the lessons page to learn more. 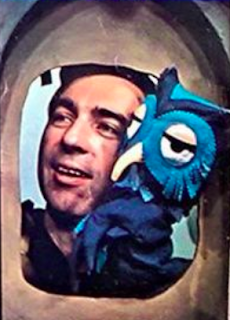 In this article, I describe my recently renewed appreciation of Mister Rogers' Neighborhood. In particular, the artistic intentions and the marvelous music. I wish for everyone in the world to know and embrace love, compassion, curiosity, creativity, mindfulness, emotional intelligence, and so on. Of course, it takes regular investment to maintain and strengthen such things in my own life. And as one person, I only have so much influence and only so much capacity to support others. I do what I can with my students. And as a father, I bring these concerns to raising my now two-year-old son. In any use, this license must be included, and please list "by Aaron Wolf, wolftune.com" in the attribution. I would also appreciate notification of any use, though it is not required.